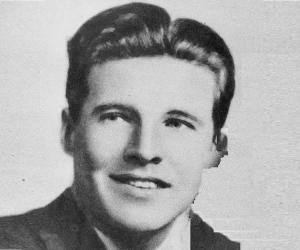 Ozzie Nelson was an American actor, director, producer, screenwriter, and band leader, best known for his sitcom ‘The Adventures of Ozzie and Harriet.’ Check out this biography to know about his childhood, family life, career, and achievements. Ozzie Nelson was an American actor, director, producer, screenwriter, and band leader, best known for starring in and writing the popular sitcom ‘The Adventures of Ozzie and Harriet.’ Born and raised in New Jersey, Ozzie pursued a law degree in college and simultaneously played saxophone in a band to earn pocket money. During the era of the Great Depression, Ozzie took to music. Even after getting rejected quite a few times, he was determined and formed ‘The Ozzie Nelson Band.’ In 1930, the band was offered a contract by the label ‘Brunswick,’ and in the next decade, ‘The Ozzie Nelson Band’ became a nationwide phenomenon. In the 1940s, Ozzie ventured into films, starting with the 1941 film ‘Sweetheart of the Campus.’ He also did many short films around this time, mostly for promoting his band. In 1952, he produced and starred in the sitcom ‘The Adventures of Ozzie and Harriet,’ which was formerly a successful radio show. Following the sitcom’s immense success, he wrote more shows, such as ‘Ozzie’s Girls’ and ‘Bridget Loves Bernie.’ He died of liver cancer at the age of 69. Ozzie Nelson was born Oswald George Nelson, in Jersey City, New Jersey, on March 20, 1906, to Ethel Irene and George Waldemar Nelson. His father was Swedish, and his mother was of English descent. Ozzie had an older brother. 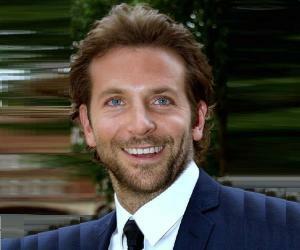 A few years after he was born, the family moved to Ridgefield Park, where Ozzie spent most of his childhood and adolescence. Ozzie participated in a lot of extracurricular activities during his teenage years. At the age of 13, he was given the rank of Eagle Scout. At that time, he was the youngest student to be honored with the rank. He was also interested in football. He was part of the school football team while studying at the ‘Ridgefield Park High School.’ After graduating school, he enrolled at ‘Rutgers University,’ where he was part of his college football team. In college, he was an active member of the ‘Cap and Skull’ fraternity. He wanted to become a lawyer and joined ‘Rutgers Law School’ after earning a bachelor’s degree. In his late teenage years, he was addicted to music. He started playing saxophone in a few bands and also became a football trainer to earn some extra pocket money. He also wanted to be a vocalist but was rejected by the ‘Rutgers Jazz Bandits,’ the band for which he played saxophone. When Ozzie entered adulthood, the US, along with the rest of the world, was in the clutches of The Great Depression. There were few jobs available, and people looked for other mediums of making money. Ozzie turned to music and became a full-time musician. 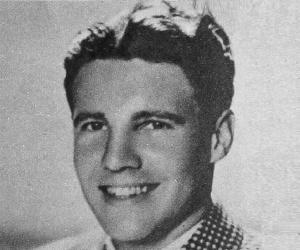 Ozzie formed ‘The Ozzie Nelson Band’ and started becoming popular in the mid-1930s. With his sharp mind, he made sure that his own band members contributed to popularize the band by different means. As a result, the band became a national phenomenon in the 1930s and the 1940s. ‘Glen Island Casino’ was one of the most popular casinos in and around New York City, and they were searching for a band to play for them. ‘The Ozzie Nelson Band’ took advantage of their growing popularity and was selected. Many national radio broadcasts followed, and Ozzie’s band became extensively popular. Their success story continued as they were represented by several major record labels, such as ‘Brunswick,’ ‘Vocalion,’ ‘Victor,’ and ‘Bluebird.’ One of their most successful songs was ‘Over Somebody Else’s Shoulder.’ Ozzie’s wife, Harriet Nelson, was also a vocalist in the band, and together, they enjoyed nationwide success. Ozzie’s success story was not limited to just music. In 1944, he developed and produced his own radio series, ‘The Adventures of Ozzie and Harriet.’ His sons were also featured on the radio show from time to time. The show starred Ozzie and Harriet, and their two sons were played by other actors. In 1952, the show moved to TV as a sitcom titled ‘The Adventures of Ozzie and Harriet.’ Their sons, David and Ricky, played themselves in the TV version of the series. The series chronicled the lives of the family members, and audiences watched their daily antiques. The radio show was on-air until 1954. The series turned out to be one of the most successful sitcoms in the 1950s and spanned 14 seasons and 435 episodes. Apart from writing and producing the show, Ozzie also directed many of its episodes. In 1973, Ozzie wrote and produced another TV show, ‘Ozzie’s Girls.’ The same year, he directed a few episodes of the sitcom ‘Bridget Loves Bernie,’ which turned out to be his last project. Ozzie Nelson married Harriet Hilliard, one of his band members, in 1935. The couple had two children: David and Eric (also known as Ricky). 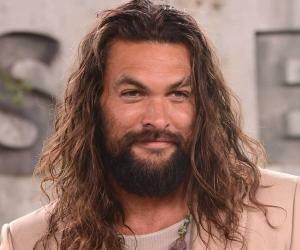 Ozzie often played the role of a laid-back and easy going father on screen, but according to sources, he was quite a strict and controlling father in real life. In his final years, Ozzie suffered from cancerous tumors. 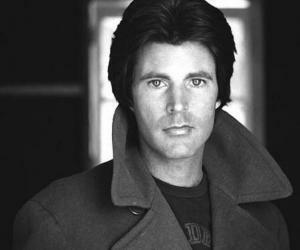 He died of liver cancer on June 3, 1975.